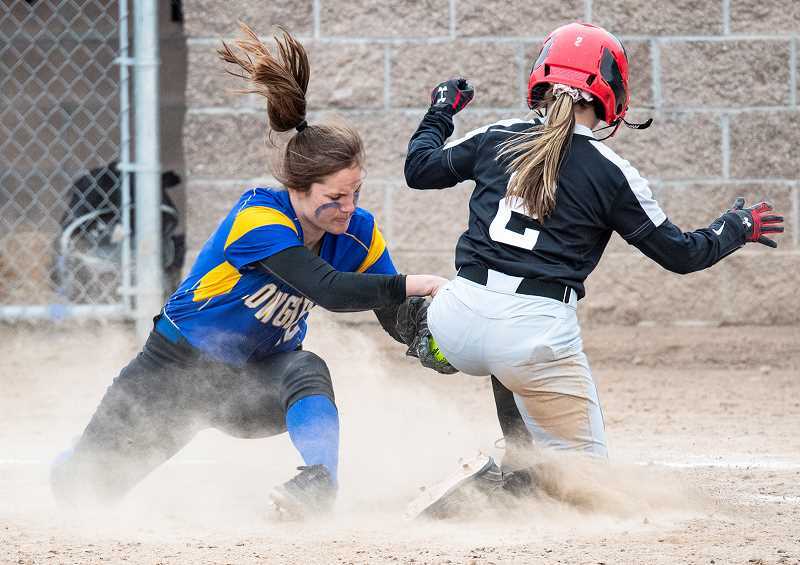 The Crook County Cowgirls exploded offensively at the Redmond Invitational Tournament. 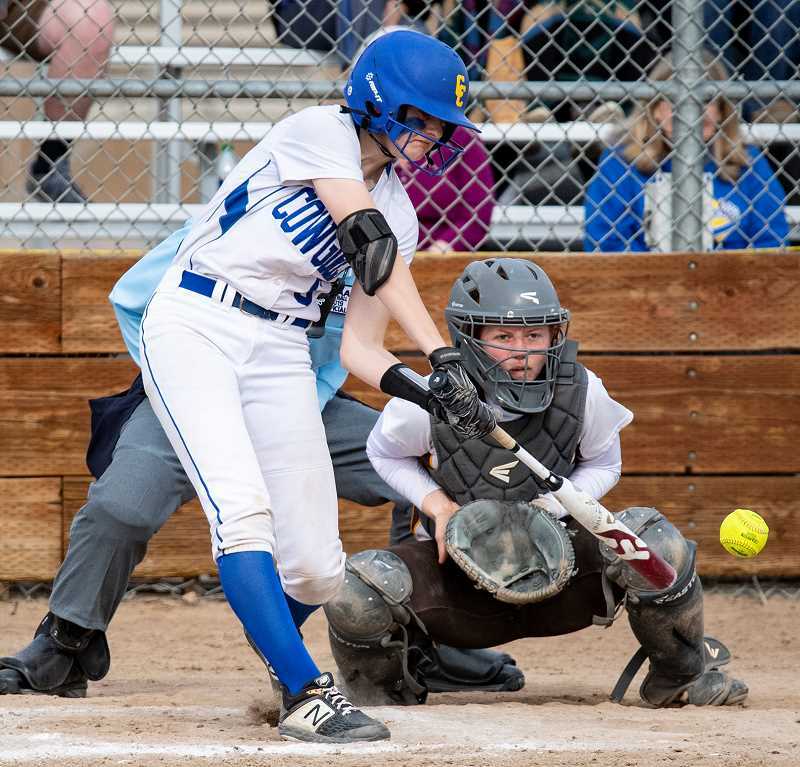 With much of the tournament moved to Prineville because of field conditions, the Cowgirls made the most of their opportunity, going 3-1 at the event, while exploding offensively for 56 runs in their four games. "I'm super proud of these girls," Crook County head coach Jeremy Puckett said. "They never gave in. They put their best foot forward time and time again. It was a great two days to be a Cowgirl." The Cowgirls opened the tournament with a 14-4 six-inning rout of Estacada Monday morning. Emma Lees pitched a complete game for the Cowgirls to earn the win. Crook County put their offense into high gear Monday afternoon in their second game of the tournament as they exploded for 23 runs in just five innings of play against the Mountain View Cougars. Crook County led 8-0 after one inning, then added five more runs in the second, one in the third, three in the fourth and six more in the fifth. Mountain View scored their only two runs of the game in the third inning. Kalyn Martinez pitched a complete game for the Cowgirls. Martinez struggled with control in the third, walking three batters in the inning and giving up the two runs without allowing a hit. However, Martinez was flawless the remainder of the contest as she picked up the easy win. Alli Vaughan went 4-5 in the two games with four RBIs, while Ashley Owens was 4-6. Berkley Puckett added a pair of doubles and six RBIs, while Emma Lees also had two doubles on the day. "I wish we had a little bit more competition today, but it felt great," third baseman Liz Barker said following Monday's action. "We needed those wins, and we got a lot of bats on the ball." Barker added that the team expected the competition to be tougher on Tuesday. "We need to come out with a lot of energy," she said. "We are going to beat them tomorrow." The Cowgirls got off to a great start Tuesday afternoon as they defeated North Bend 13-2 in six innings of play. Once again, Martinez pitched a complete game, earning the victory. The Cowgirls finally met their match in the tournament finale Tuesday afternoon, falling to Sweet Home 13-7. "We lost to a very good team," Puckett said. "All in all, I'm super proud of these girls." On Tuesday, Lees had four doubles, two in each game, and added a single, for a fifth hit. Puckett finished the day with a pair of doubles, a single and three RBIs, while Caitlyn Elliott was 4-6 with an RBI. Barker also had a double against North Bend, while Owens had four singles on the day. With the three victories, the Cowgirls have improved to 5-4 on the season. The Cowgirls are ranked 18th in the latest power rankings. Unfortunately, that makes them the lowest-ranked team in the Intermountain Conference. Ridgeview, which went undefeated in the Redmond tournament, is now 6-0 and ranked No. 1 in the state. Pendleton, 5-3, is ranked ninth, while Hood River Valley, 4-2, is seventh, and The Dalles, 2-0, is sixth. Even Redmond at 5-3 is ranked ahead of the Cowgirls in 13th place. Still, the Cowgirls are on an offensive roll. The Cowgirls started the year with a pair of losses. Since then, they have gone 5-2 while averaging 12.6 runs per contest. The Cowgirls now have a week off before they resume their season with a game at Mountain View on Friday, April 5. Game time is set for 4:30 p.m. The Cowgirls will finally open their league season on Saturday, April 13 with a doubleheader against Pendleton with game one scheduled to begin at 3 p.m.